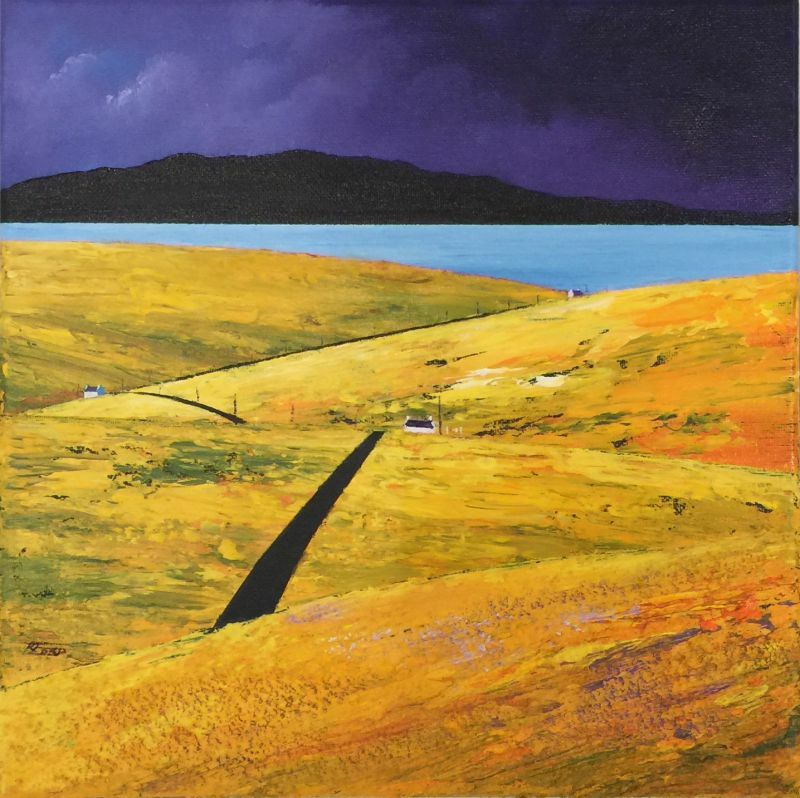 Ronnie Ford was born in Dunoon, Scotland and studied at the Glasgow School of Art. He is a full-time professional artist who launched his career with sell-out shows in Hong Kong and London. He has built a strong international presence with successful group and solo shows in Europe, Hong Kong, Singapore and the USA. 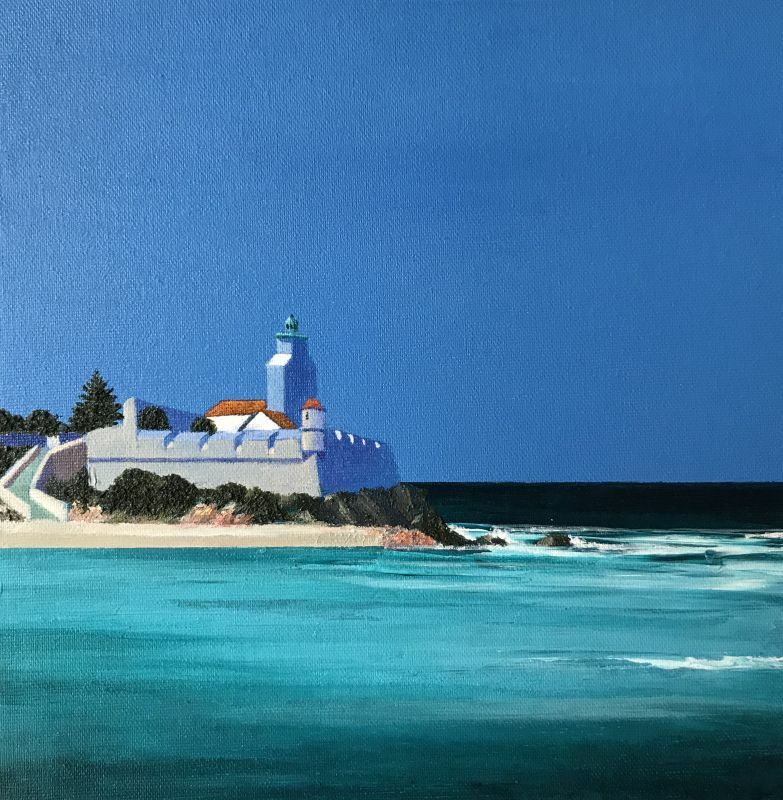 Ronnie's work is in private, public and corporate collections worldwide, including the French Consulate, Hong Kong, Bank of South Australia, Strathclyde University, NHS Scotland. 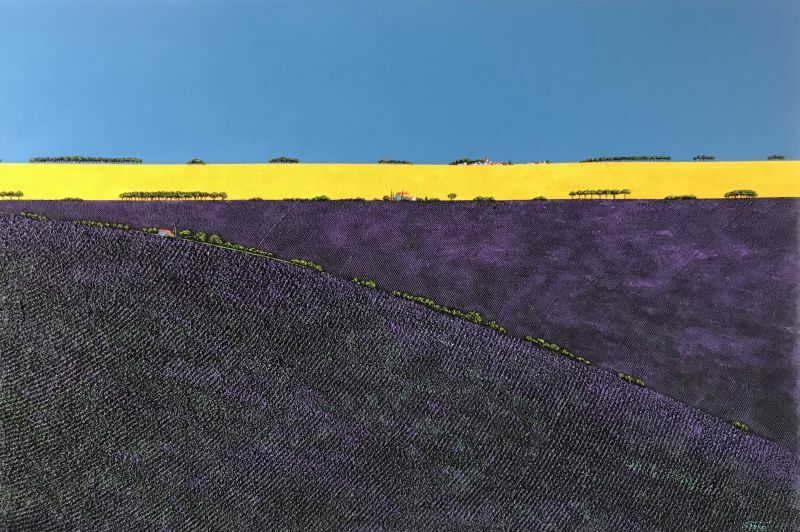 He has several commissioned pieces in the Cotswold House Hotel, officially opened by Sir Terence Conran, and has donated works to Princes Trust, Esther Benjamin Trust, Society for Aids Care, Mary's Meals, Muir Maxwell Trust, MacMillan Cancer Care, among many other charities. His work has appeared on television several times and was used as a major feature of an MTV music video by Canto-pop and film star, Sammie Cheng. 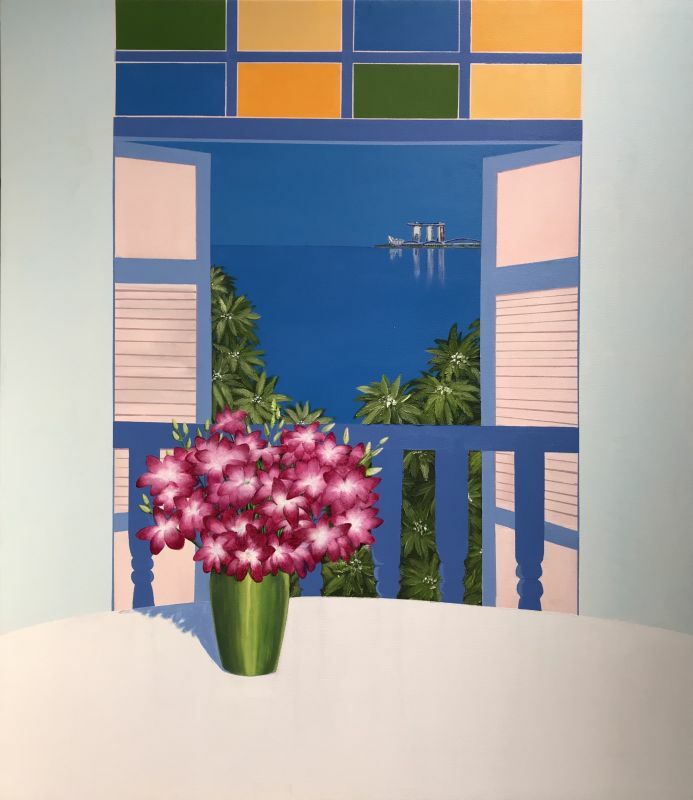 Ronnie's work has been featured several times in Elle Decoration, Eve International, Boutique, The Tatler, Homes and Interiors, Scotland and ScottishField. 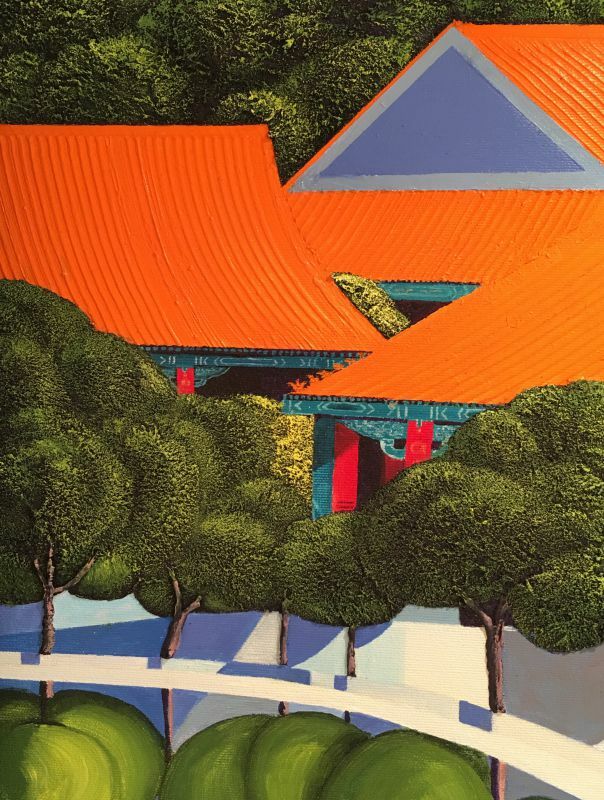 His work has also been reviewed in Ming Tao, South China Sunday Post,The Hong Kong Standard, The HK Magazine, Uptown Magazine, The Saturday Herald, Cover Magazine (Hong Kong), Bonita News-Press and Florida Weekly. In a juried show in USA he was awarded an Honourable Mention as well as voted the People's Choice Award for his work. His proposal for a large installation was one of 15 selected for an exhibition opening at the Sydney and Berne Davis Art Centre, Florida before going on a tour of the USA. 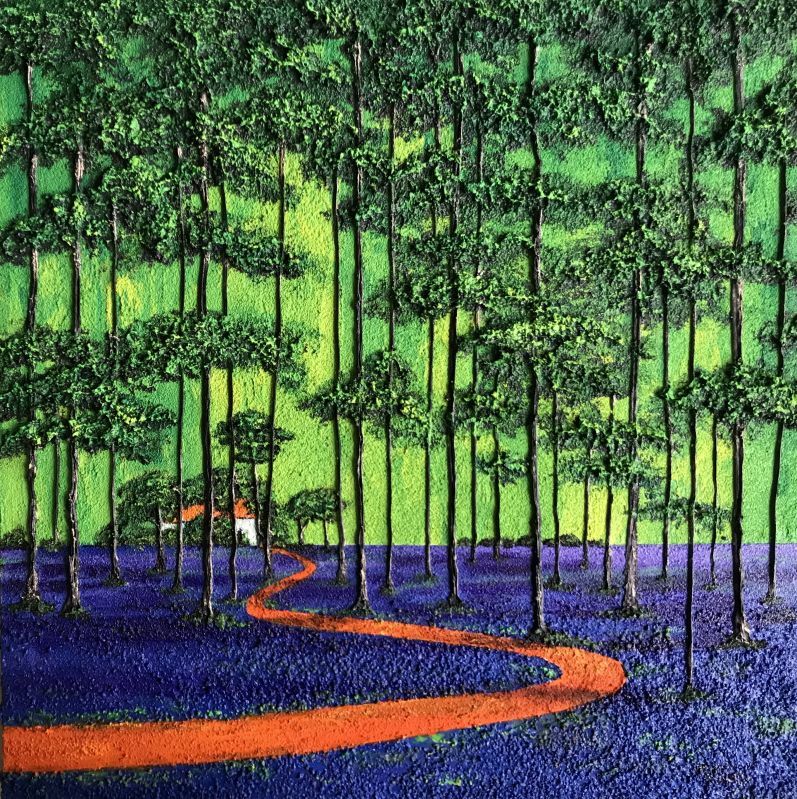 Ronnie's bas-relief painting of Buddha was chosen as a centrepiece for an exhibition in the Homage to Buddha show at the Daas Gallery in Florida. Sponsors of Ronnie's shows have included Virgin Atlantic Airways, Remy Martin and Mega Reve. He recently formed the Vibrant Arts Movement, promoting young artists and musicians in a creative spiral of art inspiring music, dance, poetry and food. He recently worked with the Vibrant Arts Band, German composer David Hueger and eight-time Emmy-Award-winning flautist Kat Epple. 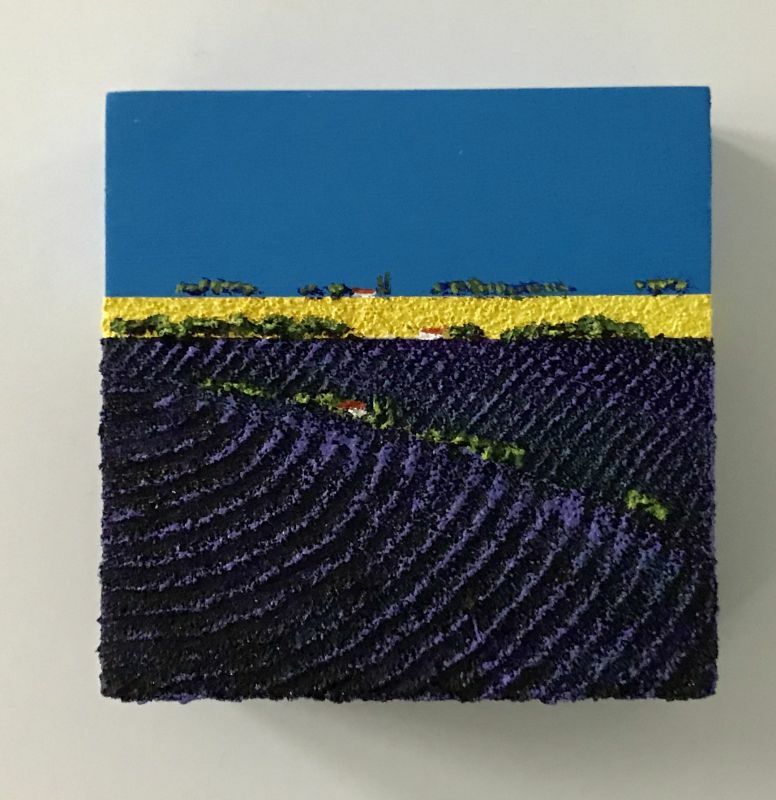 Ford's work features a highly textured surface and use of contrasting colours which capture the landscape in a personal and evocative way, pulling at heartstrings and stimulating the brain. He follows the dictum of Chinese masters who believed that anyone can copy a landscape which lies before them, but only a true master can capture its spirit. 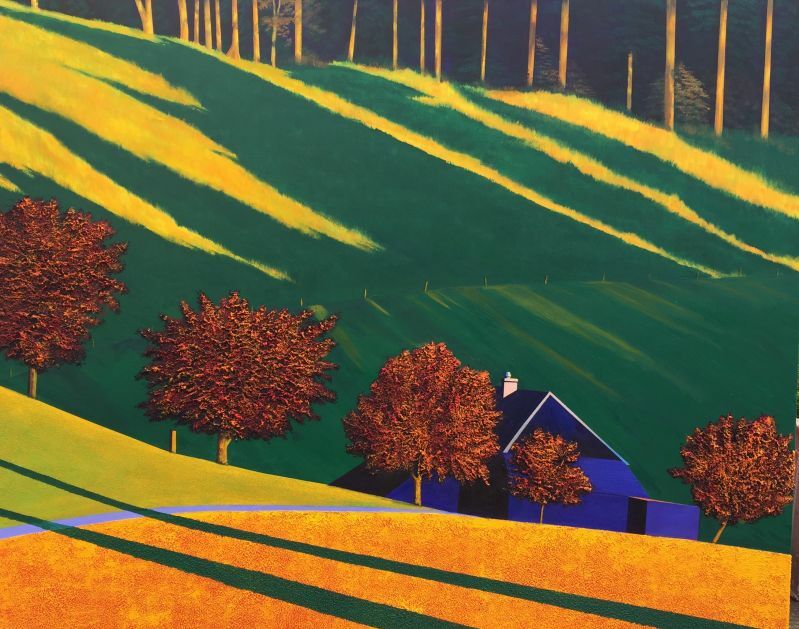 If you were to classify the work of the painter, Ronnie Ford, you might say that in terms of colour it belongs to the 'Vibrant School' of landscape painting; reached by way of Van Gogh, the Fauves, Rothko, the Op artists Victor Vasarely and Bridget Riley. And, of course, one would have to take into account the oriental use of strong colour harmonies to recreate the 'chi' or 'life energy' of any specific location. 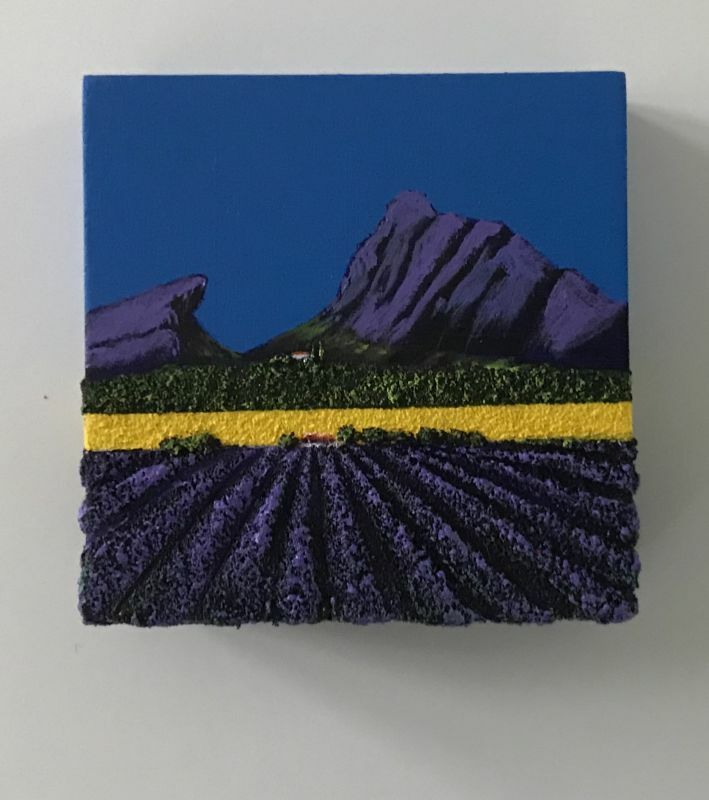 These landscapes are all about preserving the integrity of the place while expressing something of the feelings that were aroused in the artist by having been there. Ford studies the landscape, then distances himself from it physically and with time, in order to filter out unnecessary detail. 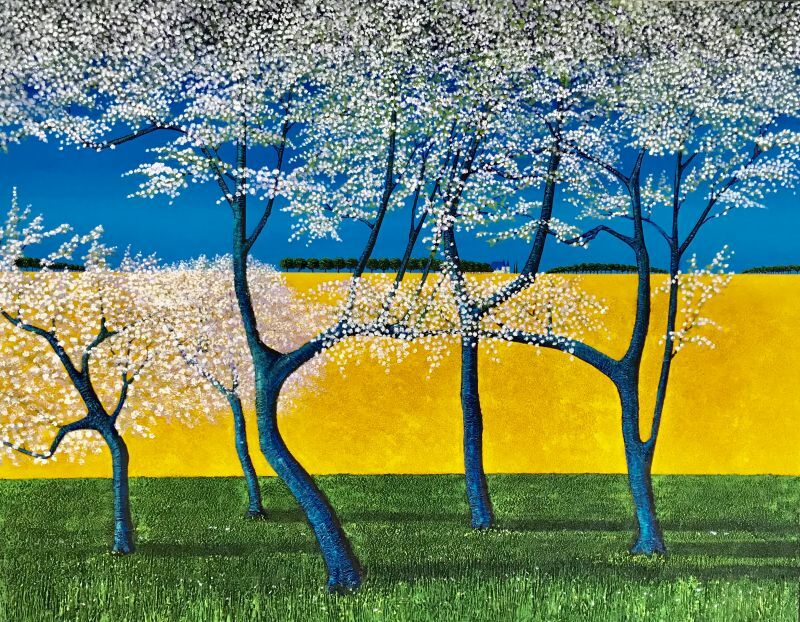 He then uses his memory to capture the spirit of what he has seen on his canvases. 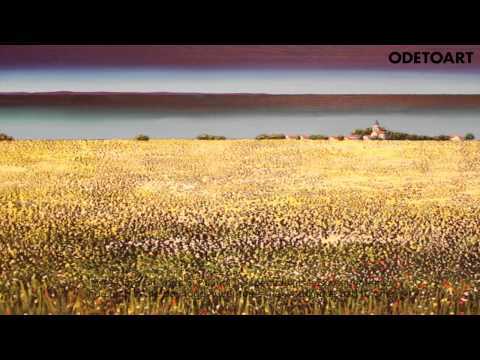 As a result, his paintings are often not representations of any particular place, but more of the impression that place has left upon him. 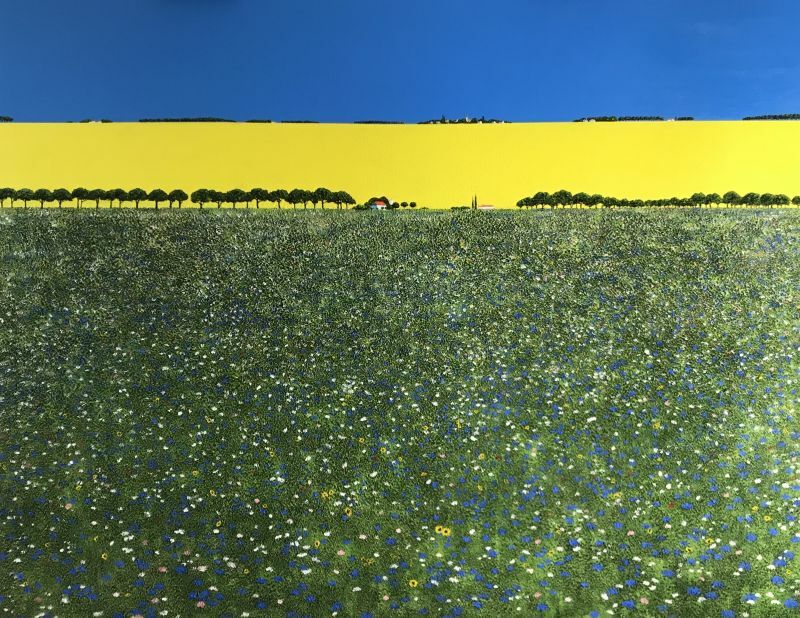 His landscapes take the viewer on a journey - a journey which captures the essence, rather than a representation, of the scene. 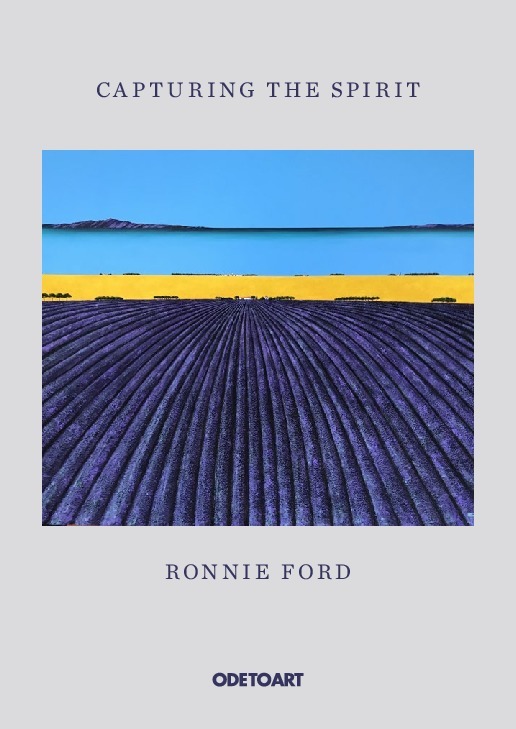 Capturing the cross lights of dawn and dusk, the rich tapestry of wild meadows, the confetti of autumn, the mirrored reflections on still lochs and ponds, the sparkle of the waterfall, Ronnie Ford invites his viewers on a journey around the contours of vineyards and lavender fields, to march with trees across the horizon and lose themselves in open spaces. 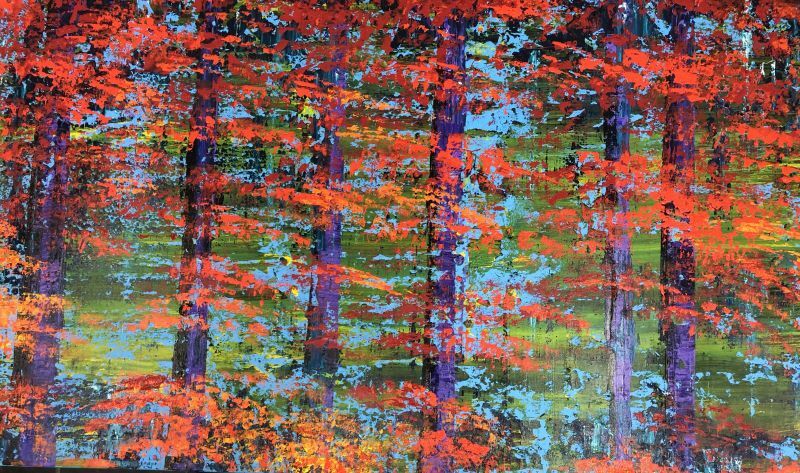 Capturing the Spirit is Ronnie Ford's third solo exhibition at Ode To Art, Singapore. 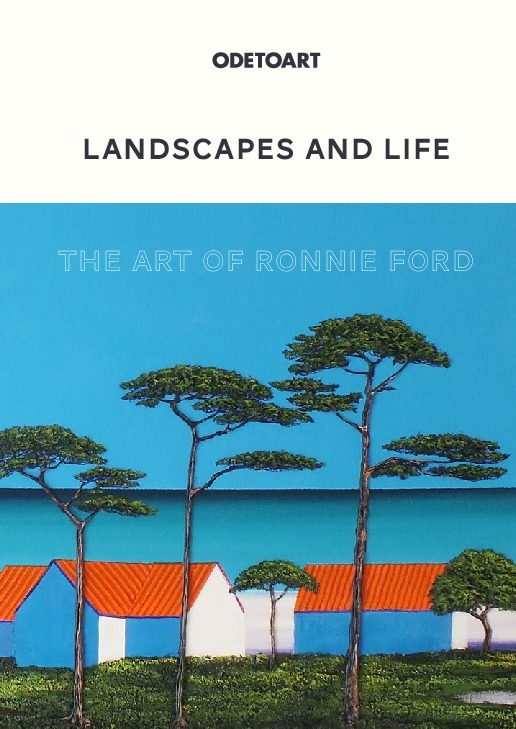 We are honoured and privileged to be able to showcase Ronnie's sublime landscape works among his collectors and friends. This new collection of works reflects his travels and experiences, dreams and meanderings over the past months - the familiar landscapes of France, more recent inspiration from the drama of Switzerland, all celebrating the joyful colours of nature, her mesmerising meadows, her majestic mountains, her bountiful blossoms, her tracery of trees. Ford's unique texturescapes evolved from his studies of sculpture and optical arts. 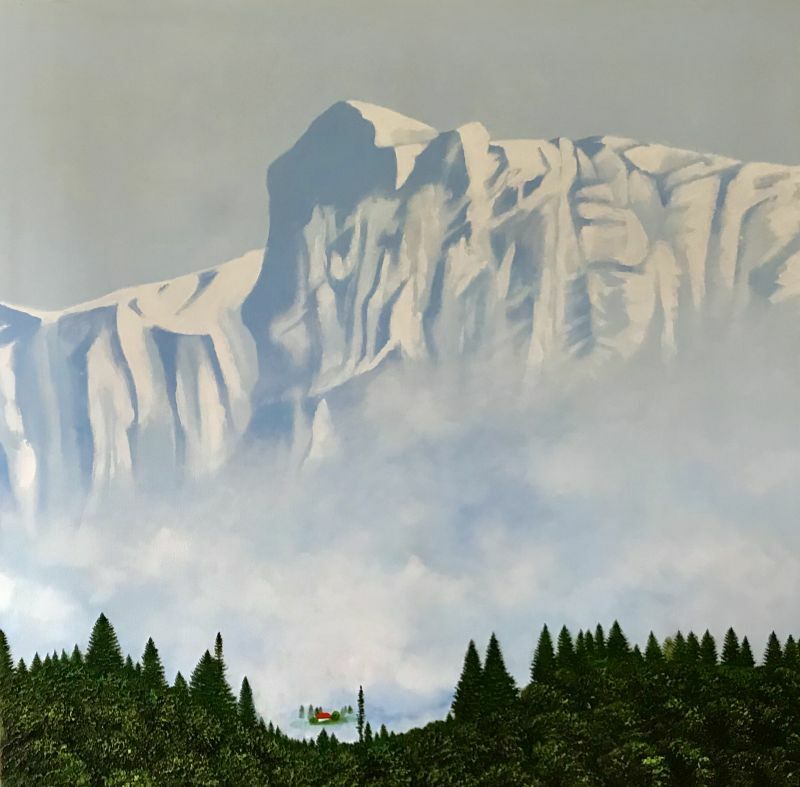 An artist of versatility and great originality, he has spent time in the Far East, during which he acquired an artistic acumen that challenges western perspectives and became inspired to explore the Chinese idea of taking a journey through the landscapes. 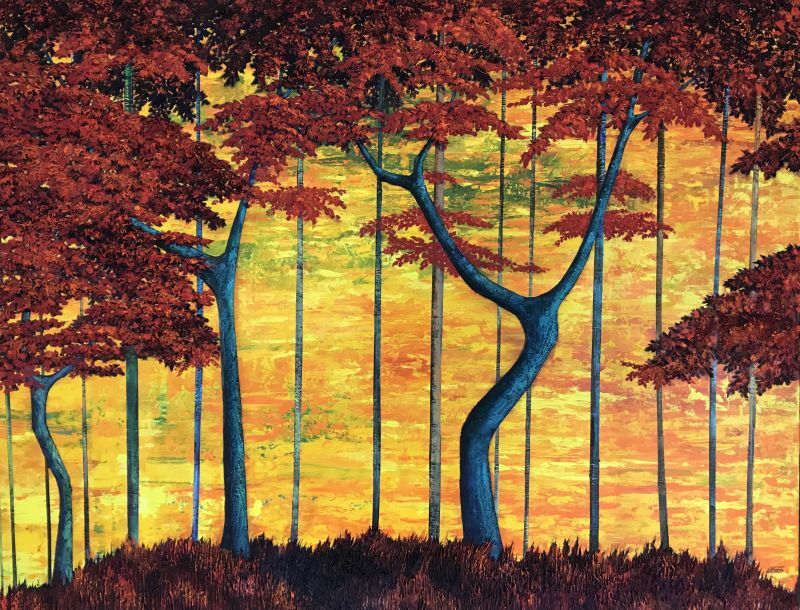 The landscapes are all about preserving the integrity of the place while expressing feelings that were awakened when he was there. It began with Ford studying the landscapes, and in time, detaching himself from it to filter out the unnecessary details. 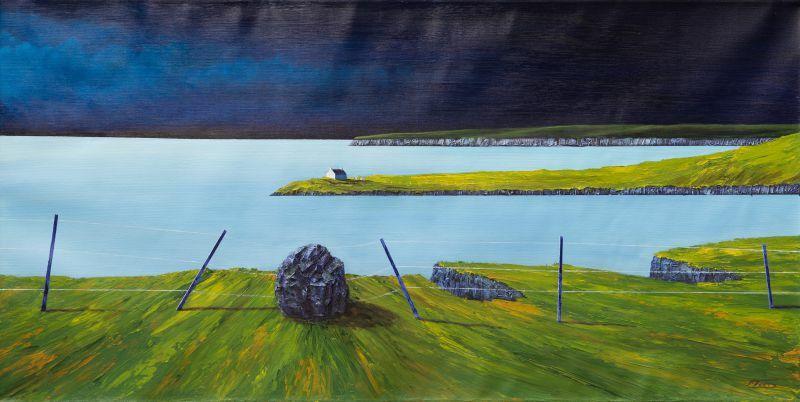 Using his memory, he captures the spirit of what he has seen on his canvasses, creating powerful impressions, rather than representations, of the place. 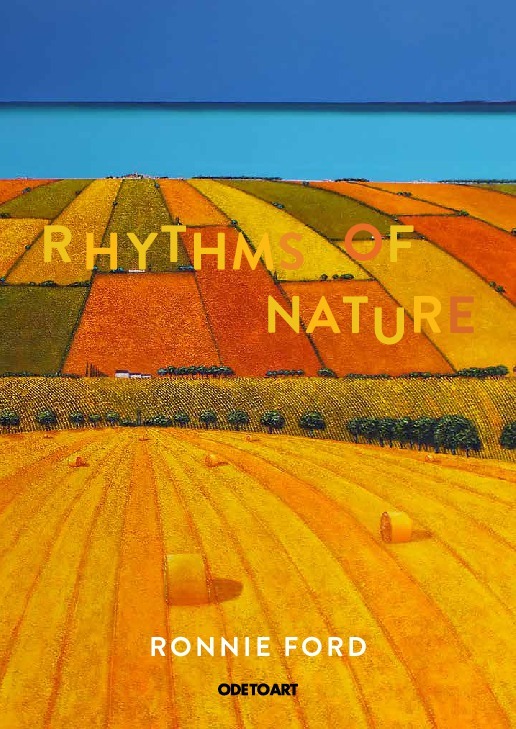 Ode To Art is delighted to present his second solo exhibition in Singapore, Rhythms of Nature. 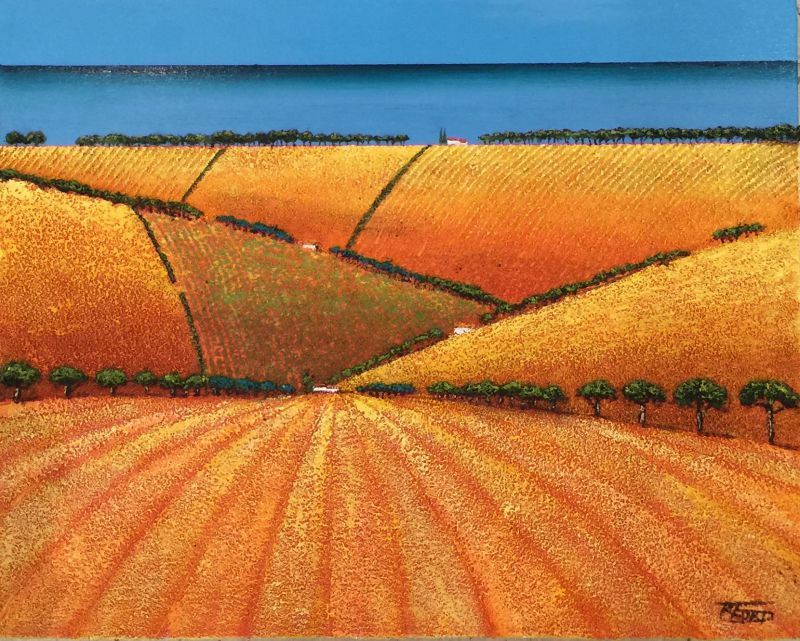 Landscapes and Life is Scottish artist Ronnie Ford's first solo exhibition in Singapore, and it features a breathtaking range of his paintings inspired by natural landscapes from all around the world.